A couple of weeks ago, Captain Obvious asked me if I’d be willing to Q a BEASTWEEK workout on 4/15. I declined (more on that in the COT). Last week, he reached out again, saying that his scheduled Q had fallen through and asked if I’d reconsider. This time I agreed. I wanted to use the softball field for The Thang, but was afraid the recent monsoon would have made that less than ideal. So I arrived early to do a little recon. The field was a swampy mess. I was afraid I’d lose a Brooks in the mud, and didn’t want to risk having to violate the new F3/Brooks licensing agreement, so I got out my cones and blocked off an area of the parking lot. A few minutes later, CO and Cheesesteak both rolled up through the cones area, and exited their vehicles looking slightly confused. Turns out the Q reschedule had been for Wednesday, and Cheesesteak was supposed to be taking the helm today. Because my cones and I had squatting rights, my Q d’etat was successful. Once for the main group, then again for Meter Maid (obviously). PAX were advised that the WoR would be 7 exercises, each of which would consist of 10 burpees OYO. However, they would have the opportunity to replace these with regular warmups by answering a series of F3 trivia questions. Question 1: What is the mission of F3? Cheesesteak attempted to answer incorrectly so that we could do burpees, but was bitterly disappointed when Captain Obvious stepped in and saved the PAX with a correct answer. Reward: SSH x20 IC. I assured Pastor Cheese that burpees would be made available to him later in the workout. Part 1: Bearway to Heaven: A Bear Crawl suicide of seven increasing lengths with decreasing burpees at the end of each length. 7 cones were laid out at parking space width. 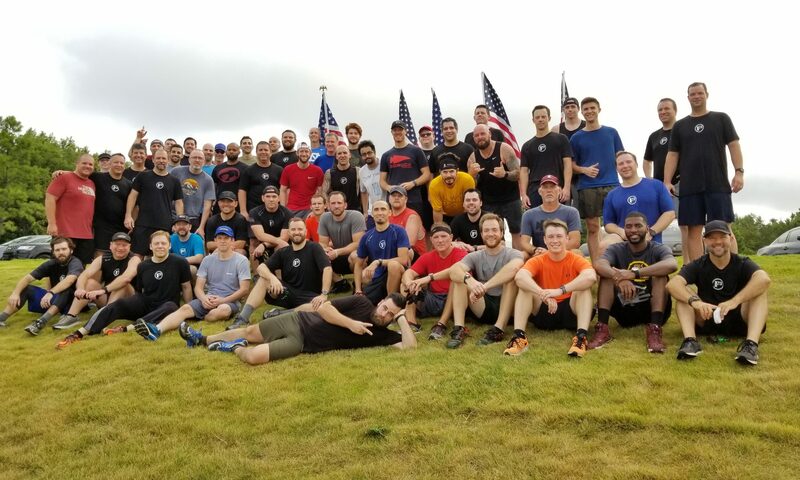 PAX were instructed to bear crawl to the first cone and back, then perform 7 burpees. Rinse and repeat, adding a cone and subtracting a burpee each time. Attempt to complete the circuit before the end of “Stairway to Heaven”. Part 2: Suicide BOMBS. Partner up. P1 works on assigned exercise counts listed below while P2 runs a 3-cone suicide, doing 1 rep of that exercise at the 1st cone, 2 reps at the 2nd, and 3 reps at the 3rd. Rinse and repeat until all reps are complete. When CO first asked me to Q a BEASTWEEK workout, I declined because I didn’t feel like I was up to that task. I looked at the list of guys that had Qd prior BEASTWEEKs: Slots, Nature Boy, Shoestring, Granola, and Tomb Raider. (Plus one other guy who apparently couldn’t be bothered to write his backblast, so I have no idea who that was. I’m sure he was a beast, though). I’m not in the same league as those guys physically. And I’ve been way off the rails with my #Queen for a long time now. But all that night I thought about it. I realized I was a Sad Clown reaction, not a HIM thinking. I told CO I had come to my senses and would take the slot if he’d have me, but it had already been filled. I resolved to use the upcoming Biggest Loser challenge to help myself #GETRIGHT, and wouldn’t decline an opportunity like that if it presented itself again. When CO reached out last week asking for a fill-in, I jumped at the chance. BEASTWEEK is not about being the strongest PAX or the fastest PAX. It’s about setting the bar higher than you think you can clear, and then pushing yourself to clear it. The only way to fail a challenge like that is to not attempt it or to stop trying. Do hard things. Don’t stop trying. Never complain that I’m not giving you enough burpees. Biggest Loser challenge starts today. Check #pound-for-pound channel on Slack for more details.